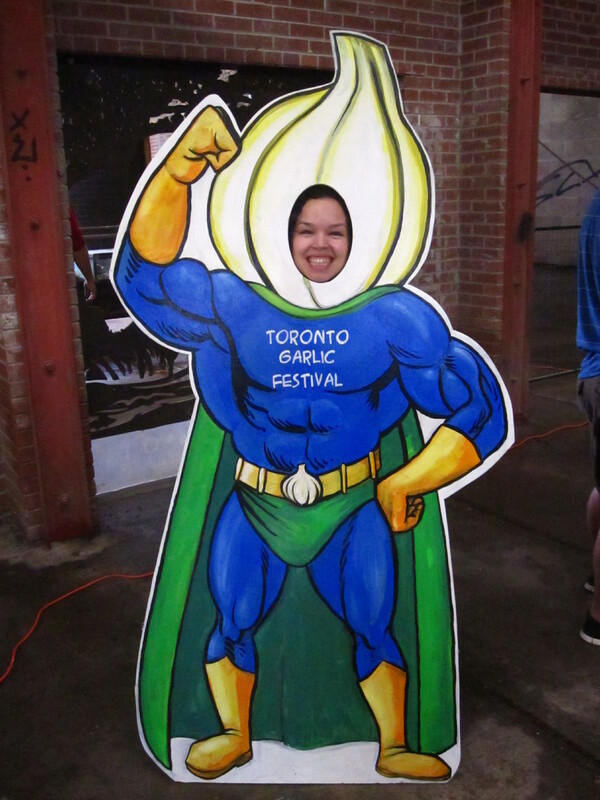 Today my boyfriend and I braved the rainy weather to go to the Toronto Garlic Festival, held at the Evergreen Brickworks Farmers Market to explore the varieties of garlic that grow in Ontario and stink up our breath with some garlicky delicacies. 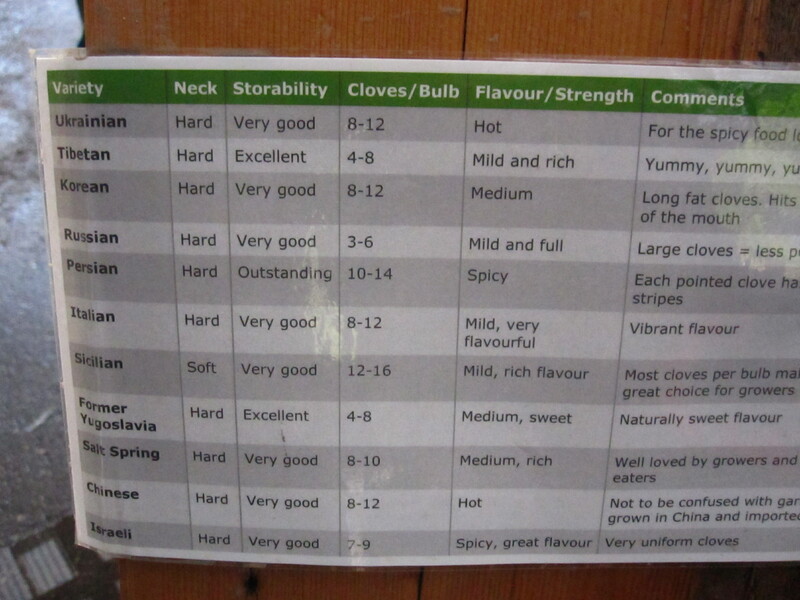 The flavour profiles vary in their pungency and some have larger cloves and a more complex flavour than others. 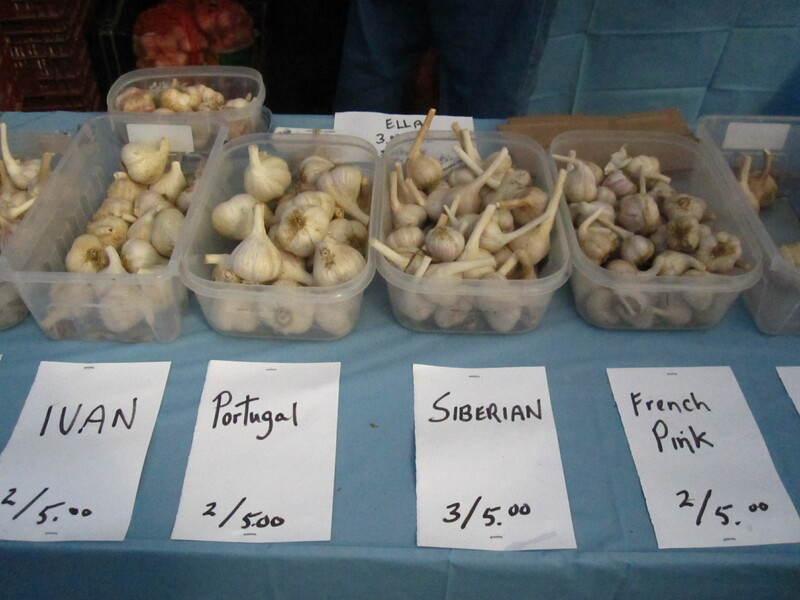 I still haven’t found a favourite type of garlic yet, they’re all so unique! 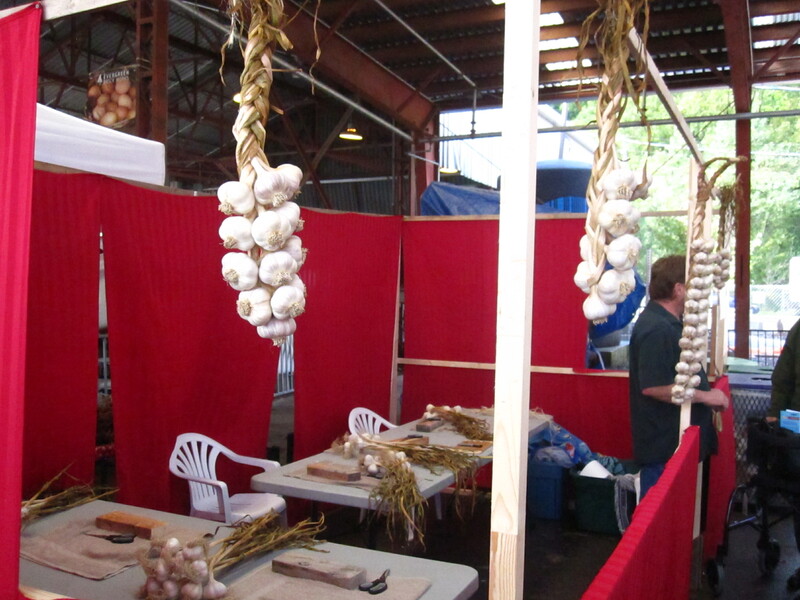 They had activities and entertainment at the garlic festival such as a garlic braiding workshop and tips on how to grow garlic in your garden at home! I thought this was awesome! 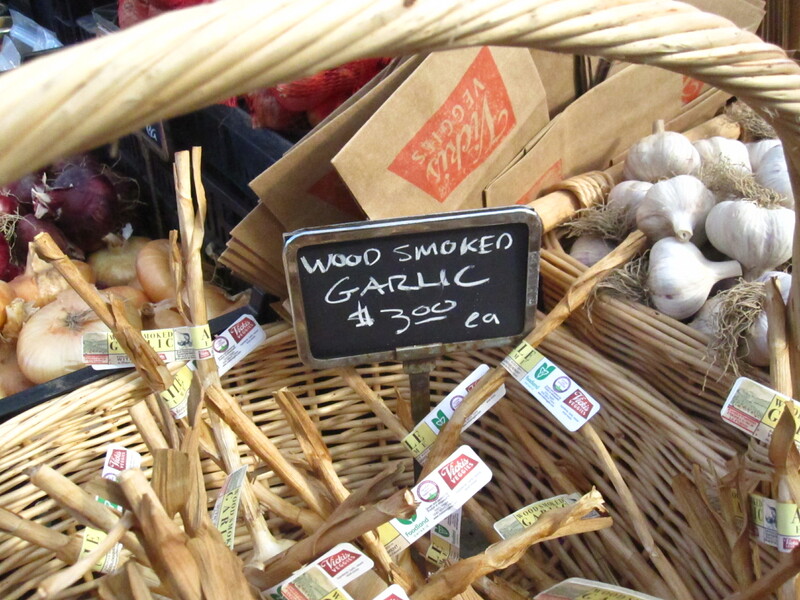 Vicki’s Veggies cold smoke their garlic in order to give a beautiful smoky flavour to the garlic while still keeping it uncooked. 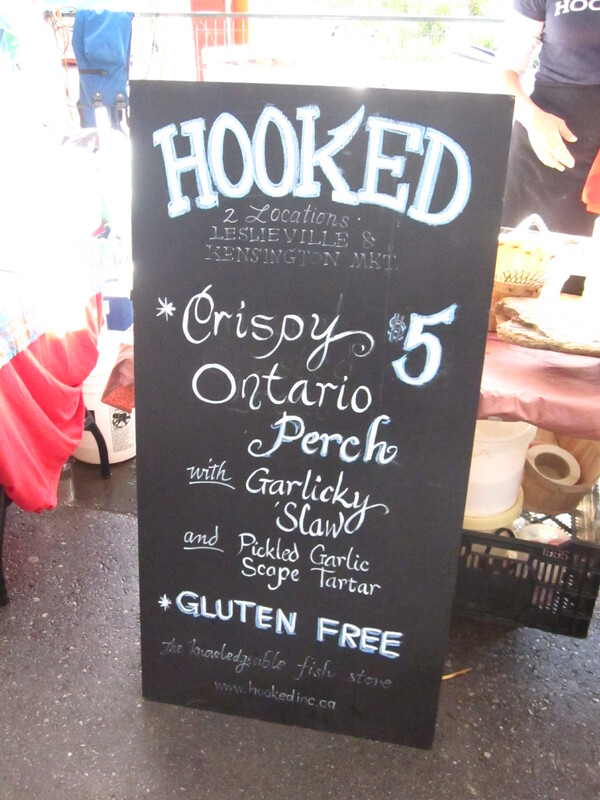 Add to your favourite dishes or pestos for a unique kick! 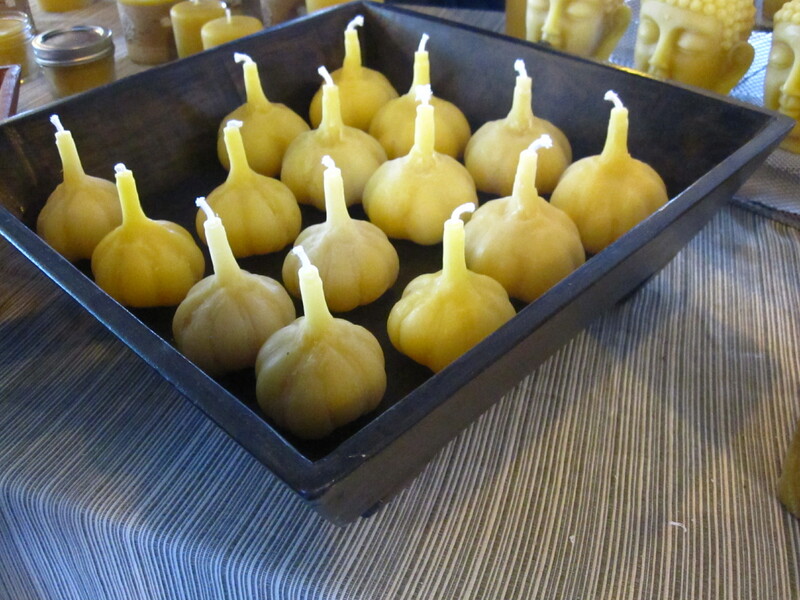 …And they even made garlic shaped candles in honour of the festival! 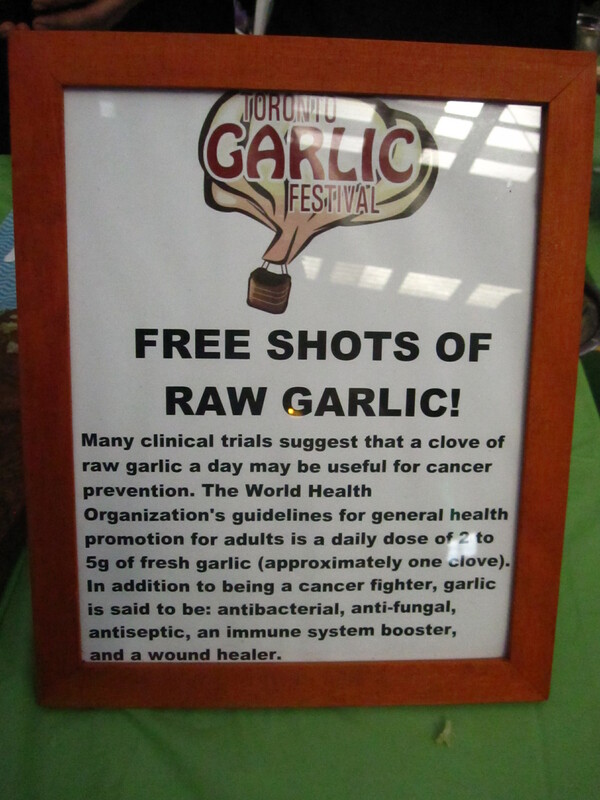 One cool aspect of the festival is their free garlic shots. 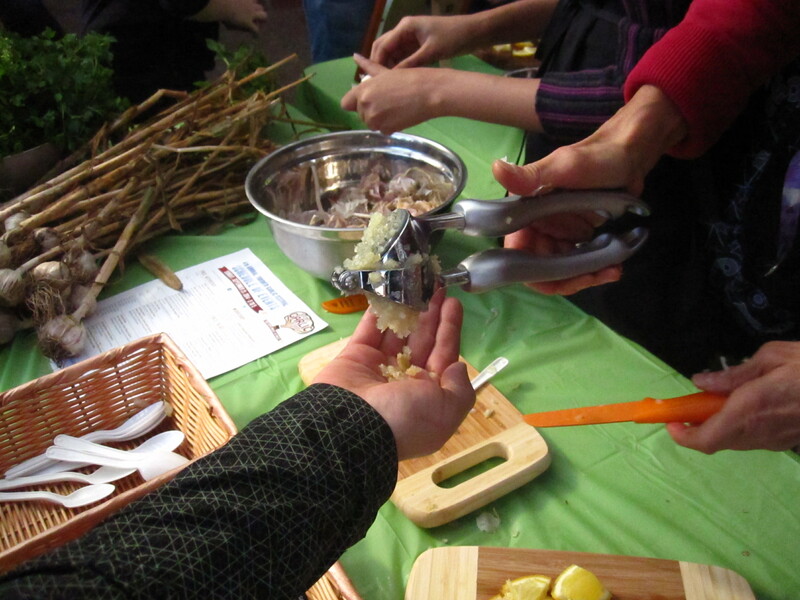 Basically they squeeze a garlic clove with a garlic press and bottoms up for a mouthful of Ontario garlic. 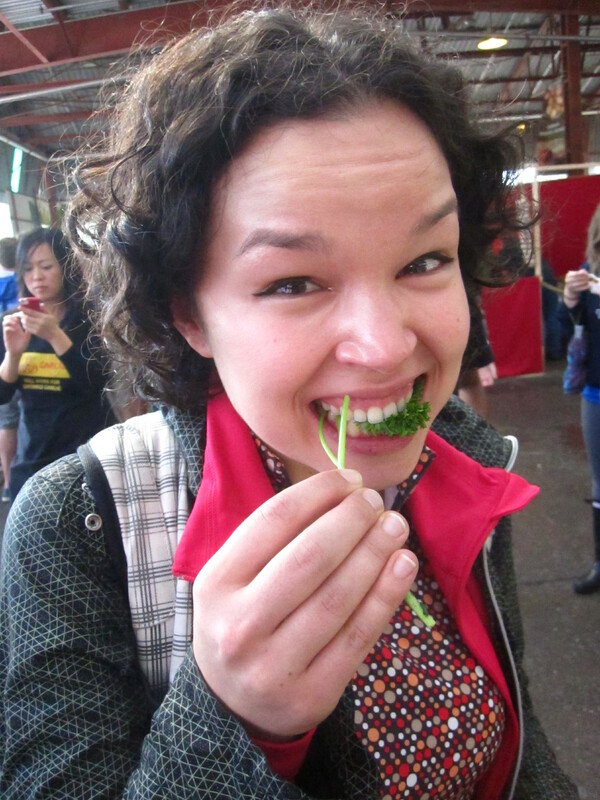 Follow it with a handful of parsley to subdue the flavour. 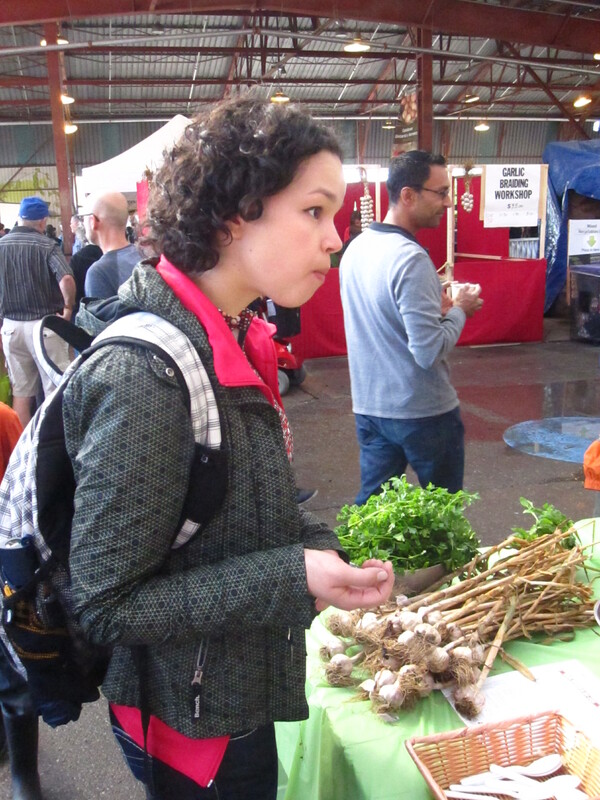 I certainly enjoyed my garlic shot! Tears of joy after the garlic shot! 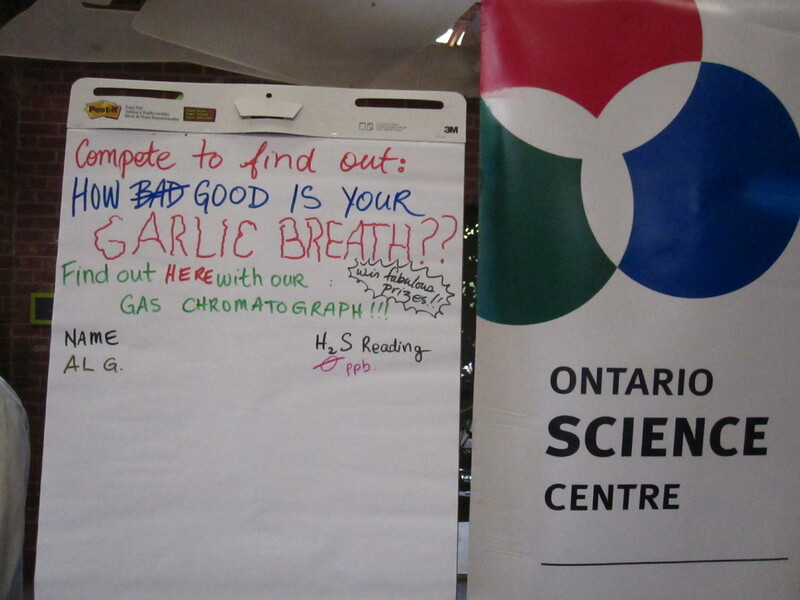 After my garlic shot, I rushed to the station from the Ontario Science Centre so I could determine the strength of my garlic breath. When garlic is ingested it breaks down into sulfur-containing compounds which are responsible for the smell garlic odour. 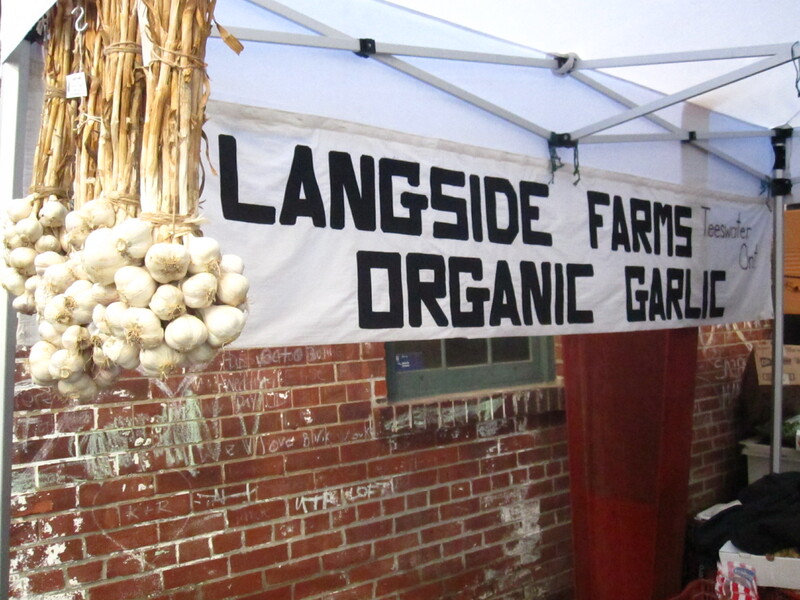 Garlic first breaks down to a compounds called hydrogen sulfide and then reacts with alcohols in the body to make methanethiol. When bacteria breaks down methanethiol, it converts it to dimethylsulfide. 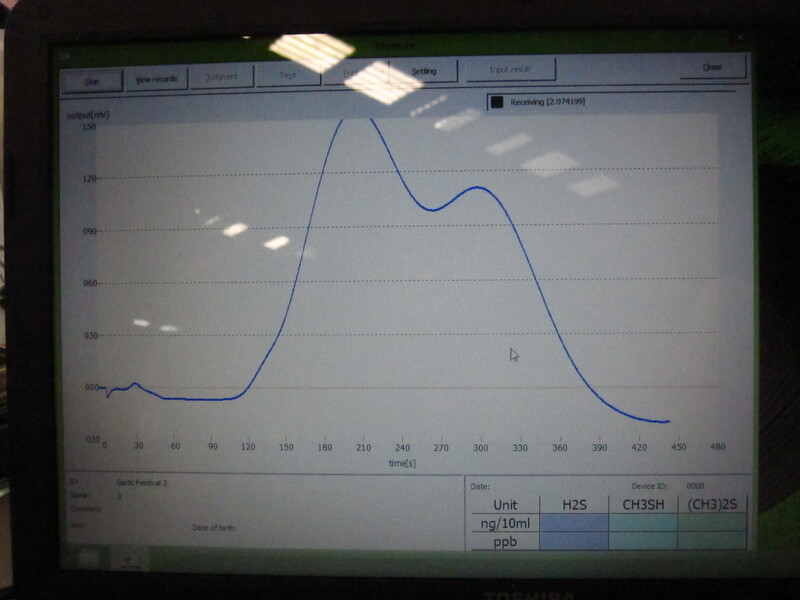 The test was conducted with a gas chromatography, which detects the concentration of these compounds in your breath (since all these compounds are gases) in parts per billion. 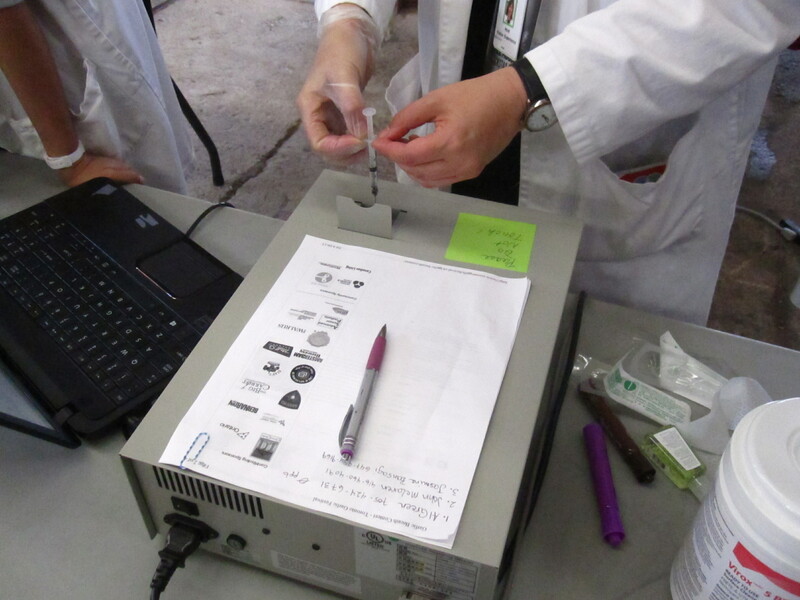 My test results showed high levels of dimethylsulfide (3189 parts per billion in concentration), which means that by the time I did the test, the bacteria in my body had already broken down the garlic, so I didn’t have any concentration of hydrogen sulfide and methanethiol in my body left, which meant that I didn’t have garlic breath. 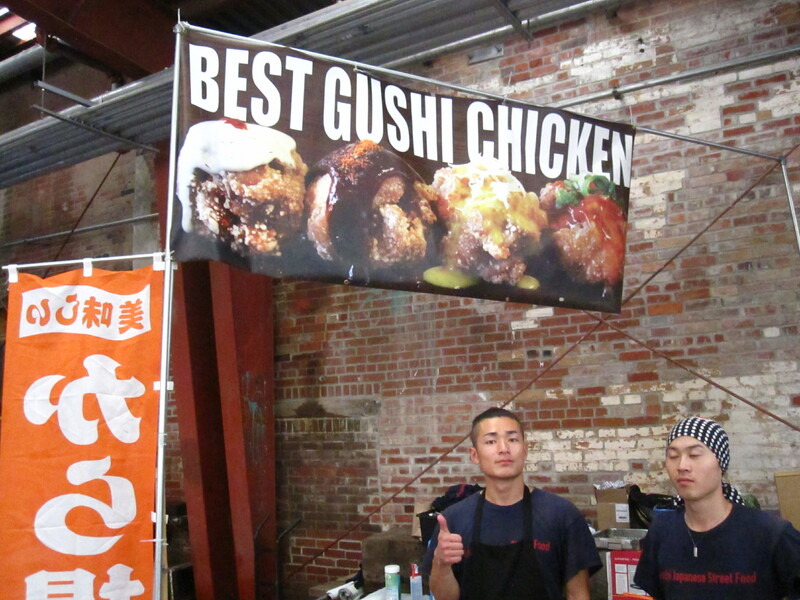 After the garlic shot and breath test, it was time to explore all the food stalls which served up tasty treats with a kick of garlic. 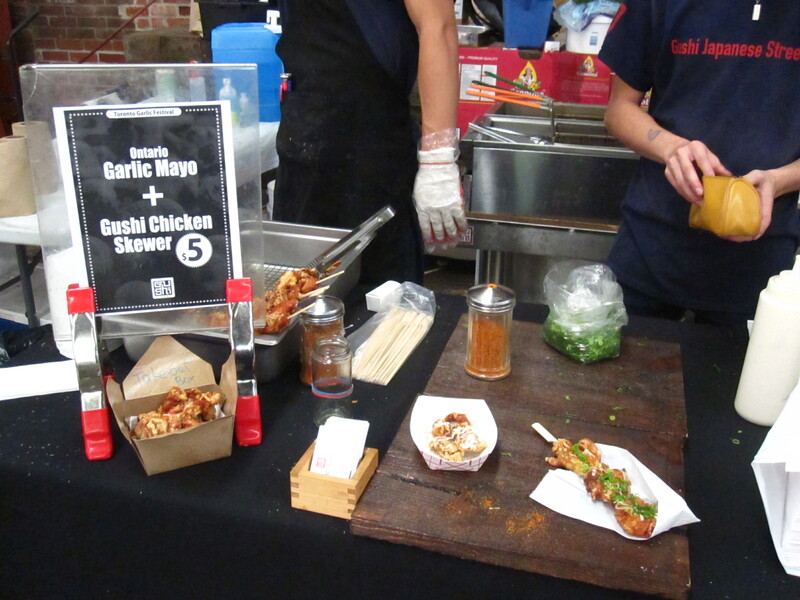 We took the Japanese fried chicken on a skewer but there were many options! What a great festival it was! 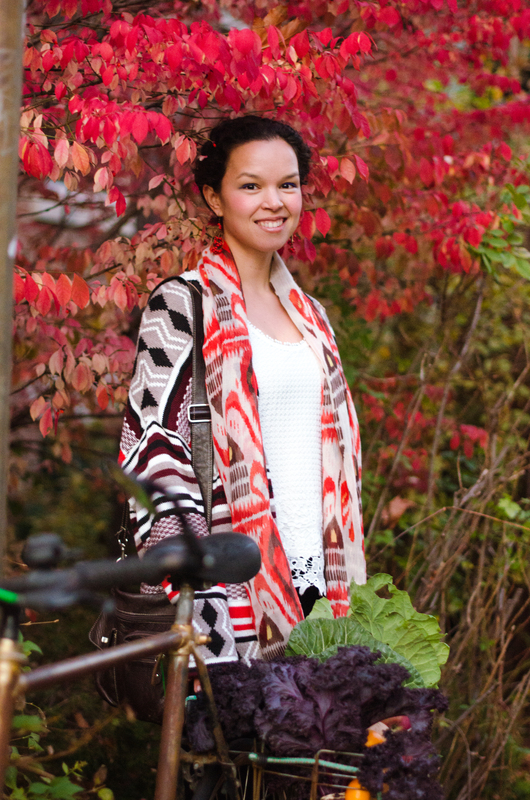 Fantastic pictures and blog, Jazmin. 🙂 I’ve shared the link to your review on the Vegiterra Twitter page. 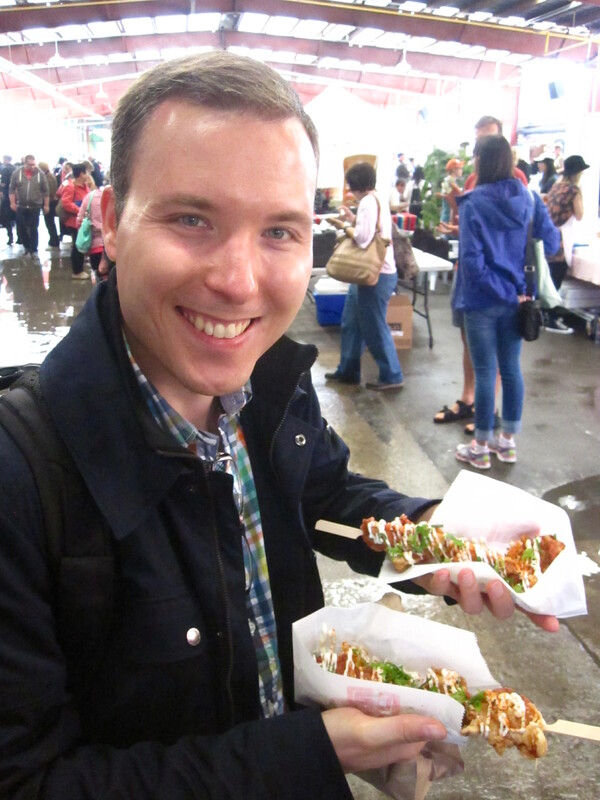 Thanks Christopher for sharing my blog entry! 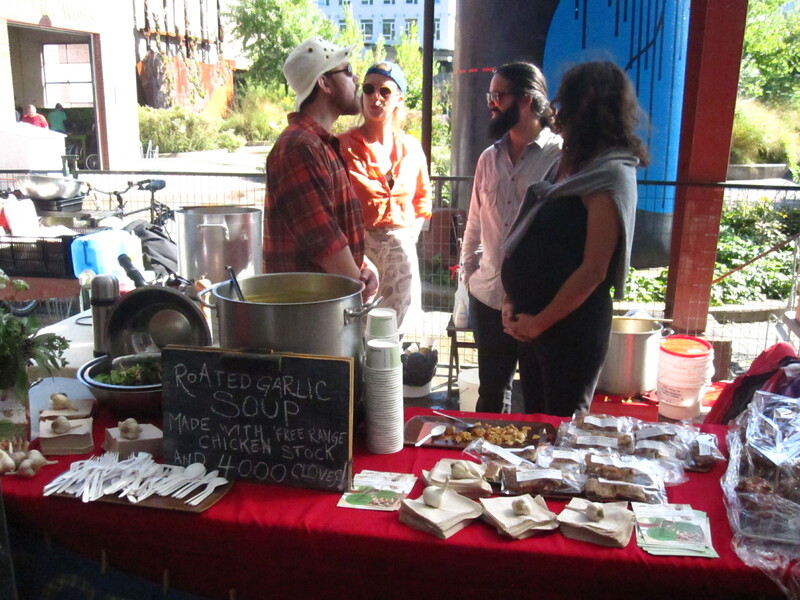 Its too bad we didn’t get a chance to try your delicious sweet potato gnocchi as well as your delicious beverages! 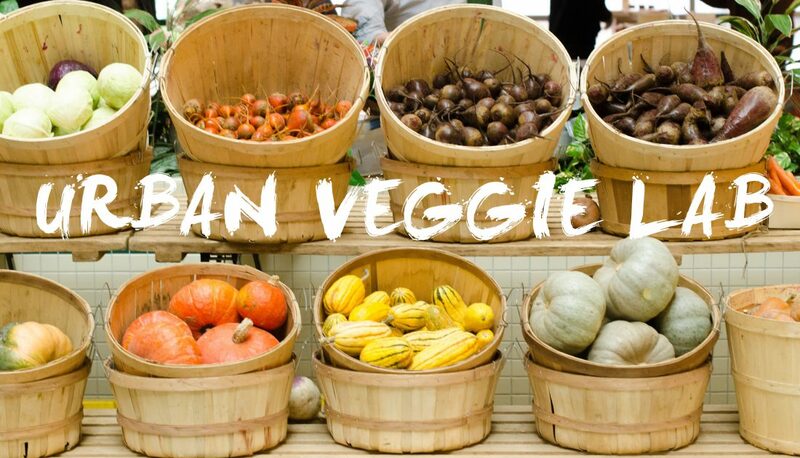 I hope that I can find you guys again and try some of you delicious vegan fare!